It’s a hot week for IPOs, with Etsy, Party City and Virtu Financials set to make their market debut. Renaissance Capital IPO ETF Manager Kathleen Smith weighs in. Brooklyn-based e-commerce giant Etsy is planning to launch its IPO this week, debuting for its first day of trading on Thursday. A competitor of eBay (NASDAQ:EBAY), Etsy provides a platform for buyers and sellers to exchange handmade goods, antiques, art and more. The company says it expects its IPO to be priced between $14 and $16 per share, raising $267 million at the top end of the range. This would value the company at $1.78 billion, a fraction of eBay’s $69.5 billion value. 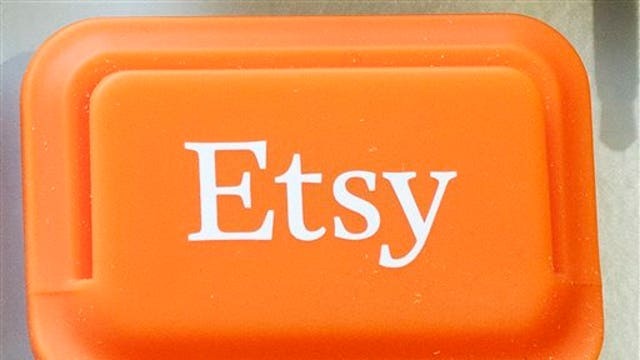 Etsy reports that it had 19.8 million active buyers and 1.4 million active sellers as of December 2014. The company has seen a rise in revenue, bringing in $196 million for the year ending 2014, compared to $125 million in 2013. “I think Etsy&apos;s IPO is premature," said Sam Hamadeh, CEO of private company research firm Privco. "The company still has a tiny user base, transaction volume less than 2% of eBay, and miniscule revenue for a public company." "It&apos;s good to see that Etsy is growing revenues at a very strong rate, but this is another nonprofitable tech IPO seeking a billion dollar valuation," said Brian Hamilton, chairman at Sageworks. "Revenue growth is very important, but you have to manage that growth effectively." Yet Etsy is still not profitable. Operating expenses have risen and the company reported a loss of $15 million in 2014, compared to a loss of $800,000 in 2013, according to regulatory filings. Since it was founded in 2005, Etsy has raised nearly $100 million in funding, according to CrunchBase data. Top shareholders to date include Accel Partners, Union Square Ventures and Index Ventures. Chad Dickerson has been CEO of the company since 2011. He previously served as Etsy’s Chief Technology Officer and is a former employee of Yahoo! (NASDAQ:YHOO). The Etsy listing is an exciting win for the Nasdaq (NASDAQ:NDAQ), which has been struggling to remain the leader in tech offerings. The New York Stock Exchange (NYSE:ICE) has secured several high profile IPOs including Alibaba (NYSE:BABA), Box (NYSE:BOX) and Twitter (NYSE:TWTR). The lead manager is Goldman Sachs (NYSE:GS). Morgan Stanley (NYSE:MS) and Allen & Co. are also underwriters.